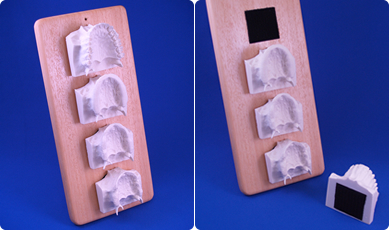 A set of 4 showing the progression of bone loss. These are made out of plastic, and the impressions are actually taken from a human-being. 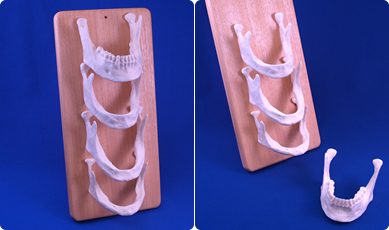 A set of 4 edentulate mandibles comes with a wooden plate. A set of 4 edentulate maxillaries comes with a wooden plate.